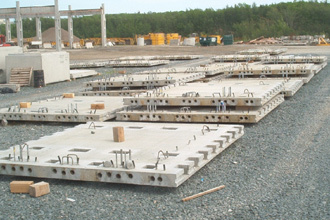 The precast prestressed full depth deck slabs for both new and replacement decks on existing concrete or steel girders can be easily carried out in staged construction or full deck replacement. Each bridge must be looked at individually and the design adjusted to suit the structure. The fast turn around of the site construction time is very important in order to keep the road open for traffic. 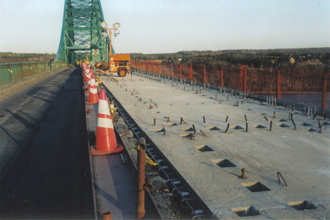 This method of construction can be used on wharf replacement or new wharf construction.